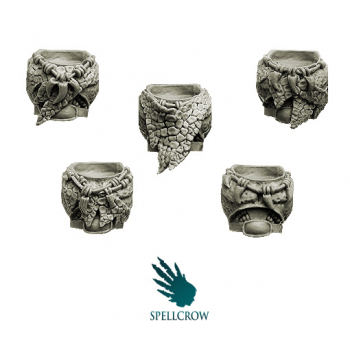 Kit contains 5 Salamanders / Dragons Knights torsos ideal for use with 28mm scale models. Perfect for converting figures for different games. The product is high quality cast resin. Needs to be cleaned and painted. Just like the other torso set, it is brilliant! 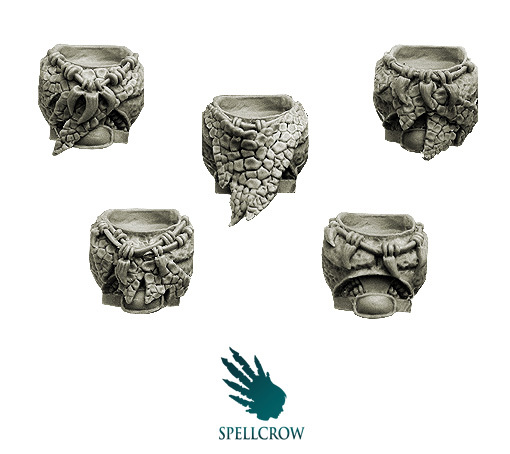 The pieces of dragonhide are very finely sculpted, ideal for your special models in your army! No flash whatsoever and good details on the scales and wires on the tooth necklaces. My one complaint is the middle torso looks more like a tabard piece but the texture males up for it. One thing to note is they all have a 'rough' texture to the sides and back so if you have a good drybrush technique could make a neat paint job. I'm overall impressed with this set.